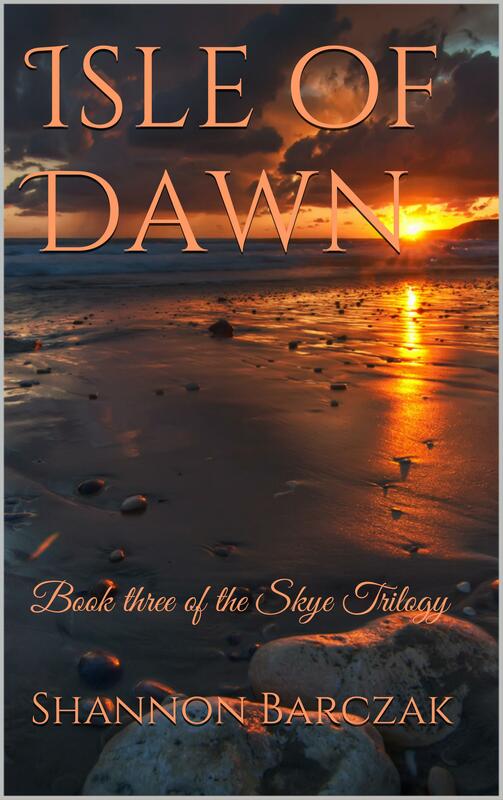 I am excited to release the blurb for Isle of Dawn! My loyal and faithful readers are fully aware of how difficult it is for me to write out a brief description of my books. I always seem to have a problem with this task because trying to describe a book in a few paragraphs is not easy. You want to provide your readers with enough insight to read what you are offering but you also don’t want to give too much away. I have been trying to come up with this blurb for weeks now and I think I’m finally ready to share it with everyone. I think it is amusing because I always struggle with this part but usually in the end I come up with it while I’m cooking or baking. I know it sounds strange but all three of my books blurbs have been written in my kitchen! Willa has left the Isle of Skye and is now in Fairlia with Patcoena to absorb the King’s power. Two unexpected guides join them as they make their way across all the realms so that she can finally fulfill her destiny to become the Fae Sanctity. Her journey takes her to places she never thought was imaginable and the deeper she delves into the depths of this foreign land, the further she moves away from the person she used to be. Can she ever make her way back to Mathias and everyone that she loves or will the final battle be her last? I hope everyone is excited as I am for this book to be released. I am finally ready to say goodbye ( sort of) to Willa and Mathias. I will be announcing more details of my next book in July and I can’t wait to start revealing more about that series. Yes, you read right, it is a series, not a trilogy! I only pray I am up for the challenge of writing four books instead of three!